The Hub and Spokes II Programme hosted the Caribbean Regional Planning Workshop in Kingston, Jamaica, from the 29th of February to the 1st of March 2016. TradeCom II, represented by its Regional Trade Expert, Ms. Mohun, was invited to participate in the meeting to introduce the new TradeCom II Programme activities and its main areas of intervention. 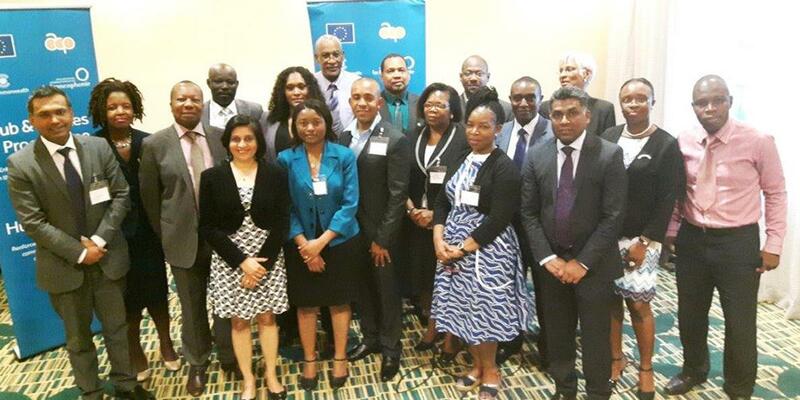 The workshop was attended by approximately 25 participants, including representatives from institutions such as the CARICOM Secretariat, OECS, ACP Secretariat, EU Delegation in Jamaica, and the Commonwealth Secretariat. National Trade Advisers from the Caribbean region were also present, such as the representatives of St Vincent and the Grenadines, Guyana and Jamaica. The TradeCom II’s mission to Jamaica provided the TradeCom II team the opportunity to share with highly relevant regional groups as well as representatives of member states the focus of the Programme and gage the needs of the beneficiaries from the Caribbean region.